My family estate is called "La Brigaldara" winery and it is located outside the village of San Floriano in the Valpolicella Classica district which is the historical wine-producing area of Valpolicella, situated northwest of the city of Verona. The estate covers 50 hectares of land which includes the property, the vineyards and the olive groves. The name Brigaldara appeared for the first time in the deed archives in 1260 and referred to a group of farm houses, the Villa and the surrounding countryside. The Villa is surrounded by a large garden and dates back to the 14th century. It was then a convent and later became the property of various aristocratic families. In 1929, the Villa and the surrounding land were purchased by my grandfather Renzo Cesari. At that time the area was used not only for the cultivation of grapes and olives, but also for the cultivation of vegetables, fruit and cereals. The farm also had different types of live stock. In the 1960�s and 1970�s, at the end of the crop-sharing era, the land was reconverted to specialise in the cultivation of vines and olives. My father, Lamberto Cesari, used to sell the grapes to other producers such as Bertani and produced wines only for his family and friends. In 1979 my brother, Stefano Cesari, decided to start producing his own wine on the Brigaldara Estate. Today Stefano, together with his sons Lamberto and Antonio, now produce and market the wines all over the world. The winery has expanded over the years with a series of purchases in the villages of Marano and Fumane in the Valpolicella Classica district and also in the extended Valpolicella district in the village of Grezzana, where vineyards have been planted at Case Vecie at an elevation of 450m. 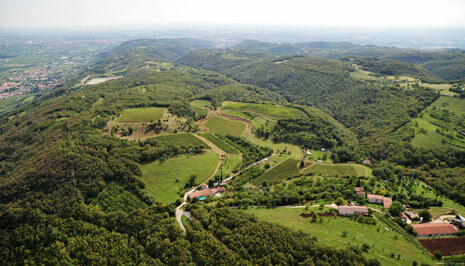 The Brigaldara vineyards also include Marcellise in the eastern part of Verona. The wine cellars and grape-drying lofts are located in the farm buildings where the old stables have been used to create underground cellars in the hillside. The winery is located in an idyllic setting surrounded by beautiful vineyards. It was built in such a way that it blends into both the Brigaldara property and the surrounding countryside. The garden surrounding the Villa has many century-old plants including cedars of Lebanon, deodar cedars, sycamores and chestnut trees. The large lawns give views over the picturesque countryside and valley. The Villa is inhabited by three families thoughout the whole year. 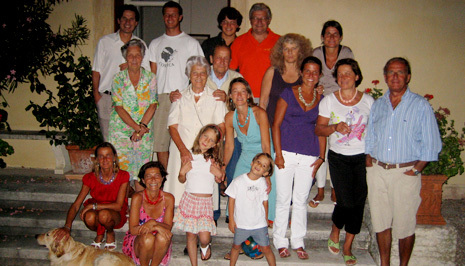 In addition, during the summer, my parents and sisters all come together in Brigaldara to enjoy the cool and relaxing atmosphere of living in the countryside.